Experience Rockstar Games’ critically acclaimed open world game. Uncover the Stone Hatchet and Double-Action Revolver in Grand Theft Auto Online and complete the challenges to unlock them for future gun-slinging exploits in Red Dead Redemption 2. Keep an eye out for a text message from Maude Eccles for bounties. Collect new bounty targets dead or alive to complete the challenge and unlock the location of the Stone Hatchet in GTA Online. Once you acquire this brutal melee weapon, complete the Kills Challenge to unlock it in Red Dead Redemption 2. Rumours of a lost relic from the frontier have begun to surface, and treasure awaits those bold enough to seek it. Keep an eye on your iFruit for a special in-game email containing the first clue then follow the trail to unlock the Double-Action Revolver in GTA Online. Once you acquire your gratis Double-Action Revolver, complete the Headshot Challenge in Freemode and unlock it in Red Dead Redemption 2. 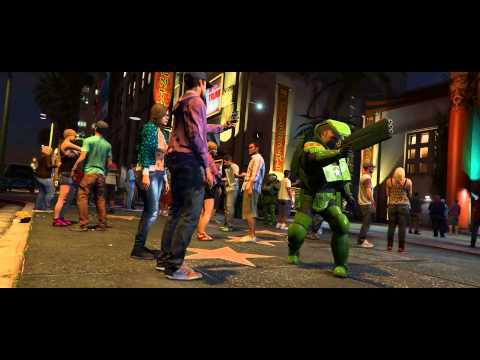 Grand Theft Auto Online is a dynamic, ever-evolving Grand Theft Auto universe with online play for up to 30 players. 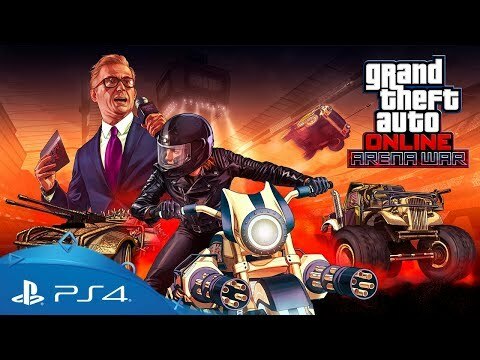 The full experience, including all existing gameplay upgrades and content released since the initial launch, are included with GTA V.
Rise through the ranks to become a CEO of your own criminal empire by trading contraband or form a motorcycle club and rule the streets. 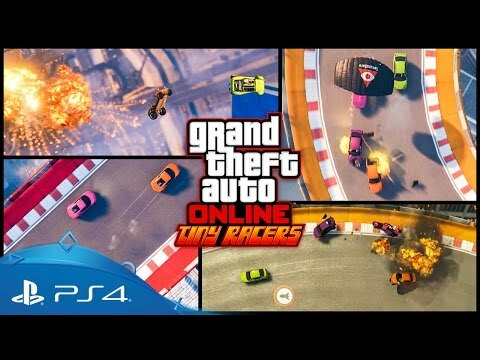 Pull off complex co-operative 'Heists' or take part in adrenaline-fuelled 'Stunt Races'; compete in unique Adversary modes or create your own content to play and share with the Grand Theft Auto Community. 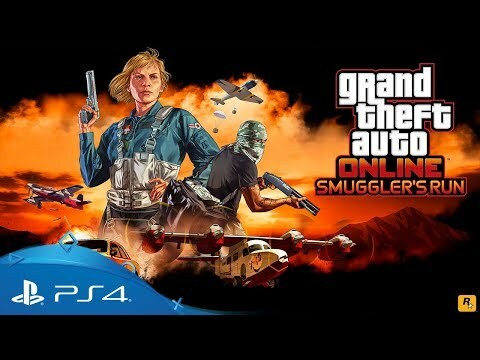 Players joining from the PS3 will get special access to a host of additional content on PS4, including rare versions of classic vehicles from across the Grand Theft Auto series, including the 'Dukes', the Dodo Seaplane, and a faster, more manoeuvrable airship. Use PlayStation Plus to band together with your friends and rise through the criminal ranks. Enter Arena War, where ruthless gladiatorial combat meets the bleeding-edge of vehicular modification technology in one spectacular – and highly combustible – competition. 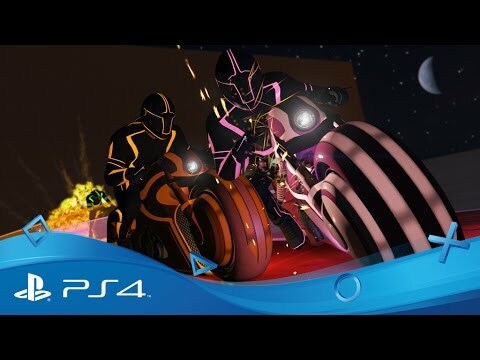 Sign up and embark on an entirely new career under the stratospheric dome of the Maze Bank Arena, one that involves turning your opponent’s brains into pulp on the steering wheel in the name of entertainment, courtesy of Alan Jerome Productions. A billionaire tech mogul, an idealistic intelligence agent, a socially awkward conspiracy theorist and a neurotic supercomputer have been forced into an unlikely alliance to save San Andreas from total annihilation. 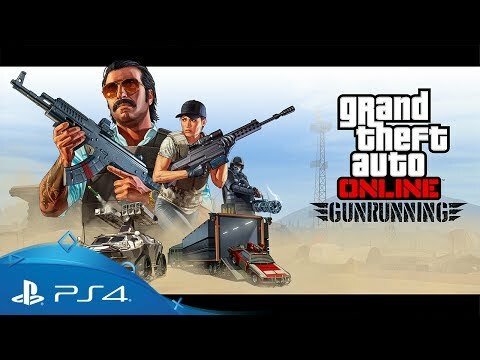 As apocalyptic threats mount from enemies unknown, you and your criminal crew are enlisted to un-tangle mysteries and eradicate threats spanning from the bustling streets of downtown Los Santos to the ocean floor and all the way to the inner depths of Mount Chiliad in an epic new online adventure. Cash is king in this town. Solve your money problems and get what you want with Shark Cash Cards that add in-game money to spend in Grand Theft Auto Online. 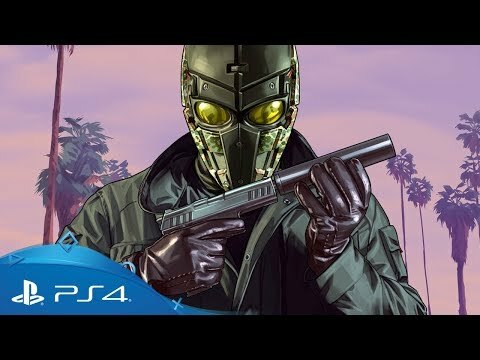 Features the complete story campaign featuring Micheal, Franklin and Trevor as they take on the most frightening and deranged elemnents of the criminal underworld, and full access to Grand Theft Auto Online, including the latest cooperative 'Heist' mode. Get ahead in the Grand Theft Auto Online underworld with the Criminal Enterprise Starter Pack. Jump-start your criminal empire with a haul of essential in-game content, including cash, properties, businesses, weapons and vehicles worth over GTA$10,000,000. Includes the complete Grand Theft Auto V base game along with all the content from the Criminal Enterprise Starter Pack to jump-start your criminal empire in Grand Theft Auto Online. Can't get enough of open worlds?